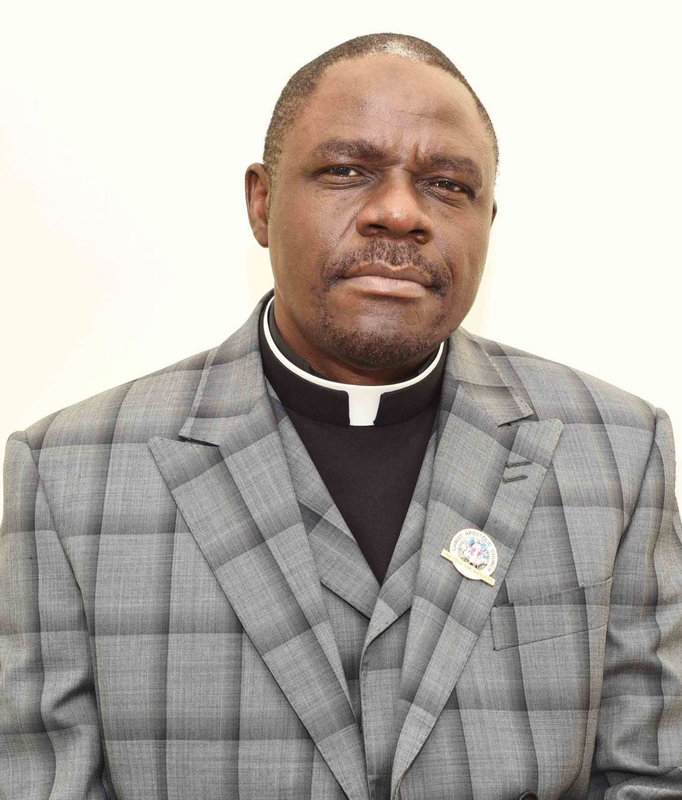 Pastor Timothy Akinlolu Omolayo Oyewumi Agbeja is the pioneer Regional Superintendent of Christ Apostolic Church, Latunde Region (North America). 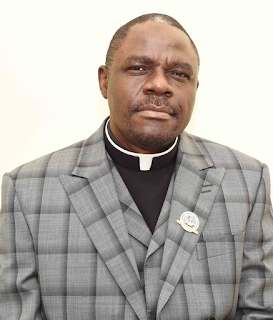 In this interview with ‘Gbenga Bankole, Pastor Agbeja speaks on his vision for the region, CAC Village in North America, wearing of trousers by ladies in North America and some other interesting issues. CAC North America, Latunde Region comprises 10 Districts' Coordinating Councils and four Zones. We also have quite a number of departments which include Publicity, Christian Education, Bible School Institute, Good Women, CACMA, Evangelistic, very vibrant youth department and so many other things that are running presently. By the special grace of God we purchased the village in the year 2014. Though it was so difficult thinking of how we are going to manage and stabilise it, it is well stabilised now, people are more comfortable with it and they are really supporting it, especially the members in America. At the beginning the misconception was that CAC Authority in Nigeria will be paying for it, but we find out that the burden on the Authority is very heavy and coupled with exchange rate it could not be easy. Of course the Authority really tried for us, but the major burden is upon CAC North America. That is where you hold your yearly conference? We use the place for our yearly conference and is now our facility for DCC and Zonal Superintendents retreat, national council meeting and Pastoral training. We have quite a number of facilities there and we are now planning to start a full fledged Bible School Institute. What is your vision for Latunde Region? My outermost vision right now is to pay off the village. If we can pay it off it will be a great blessing to CAC at large. As soon as that place is paid off, there is a whole lot of opportunity and potential there. Cuts-in: How many acres of land is CAC Village sir? It is about 65 acres of land and there are quite a number of buildings sitting on it. We have a 12-room hotel, three halls, a chapel, a secretariat, Presidential Lodge and a big building which the CACMA uses for their conferences. Being a Regional Superintendent in Nigeria, is it quite different from being a Regional Superintendent in North America? What has been the challenge? One of the challenges is that the churches in North America are new to CAC. In CAC Nigeria everybody already knows what to do, there is mission house and other things. But in North America there is no mission house anywhere. When we transfer a Pastor we have to look for a residential place and most of our buildings where we worship are bought on loans. It is not easy to buy or build properties as you do in Nigeria. Even if you have a land in North America, developer will still help you build it and you would have to loan the money to do it from the Bank and you will be paying mortgage every month. There is no property that is totally owned by anybody. You are paying and if you are not paying on time they can take it from you which they call “re-possessing.” For sometimes now, CAC Village has been on that level that we are thinking they can take it from us at any time, right now God has done it in such a way that we are stabilised. Readers of CAC NEWS always comment about the dressing of ladies in our churches in North America. They believe your ladies have to dress in accordance to the doctrine of our church.What is your opinion regarding this? 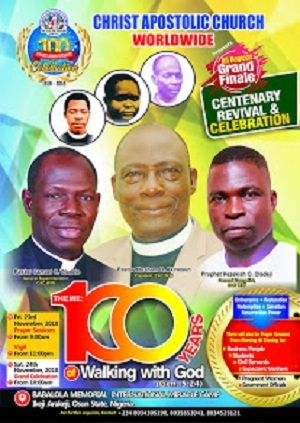 There is no way people in Nigeria will view any of our churches in overseas countries and will not be offended. I am not going into the issue of ladies wearing trousers because it is a controversial issue. CAC is a Bible based ministry and if we are going to be Bible based then we should be able to answer some Bible based questions. We must be able to attend to issues with so much controversy. We are living in a cold weather in North America. It is not like in Nigeria where throughout the year the weather is warm. In North America we are in winter with serious wind and breeze that will almost carry you almost half of the year. For females who are not wearing trousers, it could be because of their personal belief and strict adherence to that belief. Females who wear trousers wear the one that are made for women. They are not wearing men trousers, of course it is still going to be called trousers but it is those ones meant for women and it is because of the weather issue. Even the Authorities of the church know about it. This issue is an issue I will personally not talk about too much, but if anybody wants an answer to the question that they can ask our Authority. Our Authority knows the situation here and it is not going against the doctrine of CAC, but situation demands that some people wear trousers and it's mainly among our youths. Our youths have been running towards other ministry leaving us at a larger rate. We thank God for the leadership of our new youth leader in North America, Pastor Browne Adekunmi who is so dynamic and making a lot of differences. He is one of our sons that know and respect the doctrine of CAC. You can never see our ladies dressing naked or leaving their breasts open. In terms of dressing moderately that will not bring shame to the name of God, we are making sure that our youths are obedient. But as regards the issue of wearing trousers, I will always throw it back to our Authority who knows us. 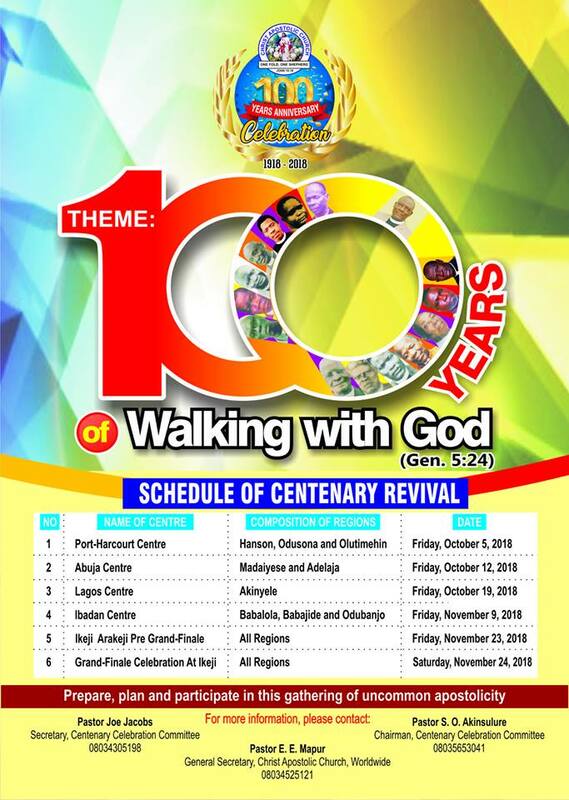 It has been prophesied that end time revival will start from CAC. How do you think this prophesy can come to reality? When God says anything, I have learnt never to question it. When God says it, you have to believe it. There is no going back. So many powerful men of God around the world have confirmed the statement and it can never change. We are very sure it is going to happen. When God is ready, He will know how to actualize it. God has chosen CAC and there is no going back. I trust God and I believe in His word. I can stand on His word. I am only expecting such a time that it will happen. I believe it with all my heart. I don’t know what God is going to do regarding the factor that will lead to it. He said in His word that my thought is not your thought and my view is not your view. God has His own plan and when he is ready to do His own thing, nothing can stop Him. We just have to believe it because sometimes when you look at some circumstances and the present situation, we can begin to doubt God. God saw everything before saying it and whatever He says will surely come to pass.